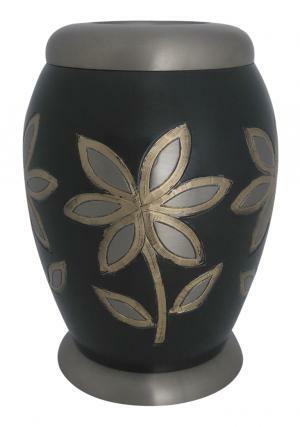 Majestic Lilies Tealight Urn made of solid brass with beautiful presence of lilies engraved with bronze etching. 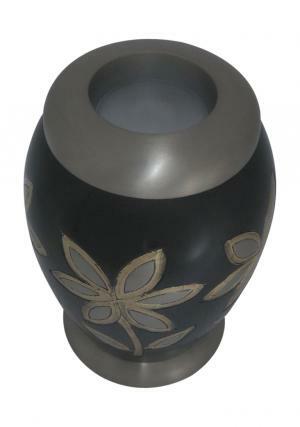 The urn has brown enamel finish with glossy coat for long lasting glossy shine. 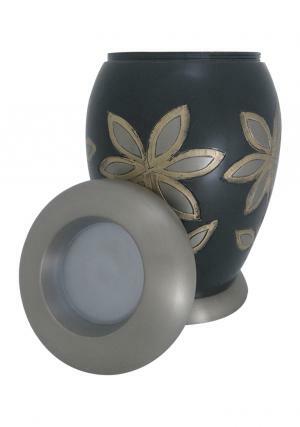 The lilies on tealight cremation urn glow with luminescent shine which has pewter finished base and top lid. The lid has decorated screw threading to secure the ashes of the loved one’s. 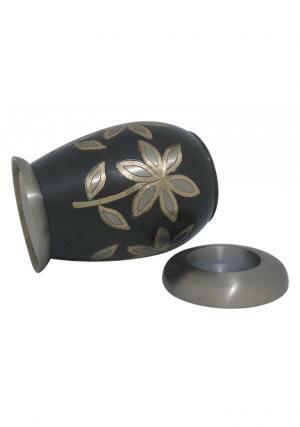 The Majestic Lilies Tealight Urn for ashes has dimensions as 5 inch height, 1.2 kg in weight and width of 3.74 inch which measures to carry 18 cubic inch of ashes. The urn does not include glass and candle.